Browse through your beautiful emails and images. Click a magnifying glass icon to get started. 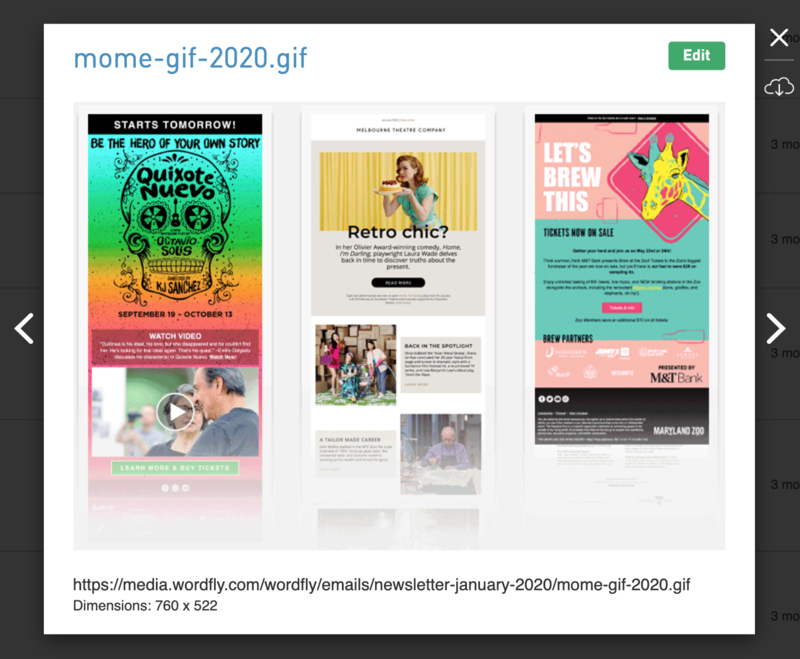 Under Email > Email Templates you can click the HTML magnifying glass to load the Gallery View of your email design. Once the gallery view has loaded click on the arrow icons to browse through your email designs. Under Pages you can click the magnifying glass to load the Gallery View of your Pages. Once the gallery view has loaded click on the arrow icons to browse through your Pages. Under Email > Media or Pages > Media you can hover over any file in the media folder and click the magnifying glass to load the Gallery View of your image. Once the gallery view has loaded click on the arrow icons to browse through your media folder.